Forex trading in Australia, like other types of investments come with varying risks and rewards. If you are looking to enter the Forex market, you need to know a number of things before you decide to invest your entire savings on it. It’s not uncommon for a lot of people to plunge into this after hearing from someone that a huge amount of money can be made with Forex trading. Because of this, some even spent all their savings in trading without any guidance. If this will be the case, there is a high possibility that they’ll lose a large amount of their capital or even wipe out their entire account. The most essential thing in Forex trading in Australia is to learn first about its concept, how its market operates, the various techniques to make investment and many more. There are lots of programs for Forex trading that you may choose to join and know more of the available tips regarding Forex trading, binary options trading, day trading and a lot more. Time – Beginners should expect several weeks of training before being able to trade in a live trading environment confidently and efficiently. The exact amount of time learning Forex really depends from one person to another. Some can be ready after a few weeks while some would require several months before they are ready to use a live account. Whatever the case is for you, it’s important that you don’t rush things until you’ve acquired a good amount of knowledge of the market as well as how and when to make trades. Risk factor – Always weigh the level of risks involved before making any trade. Here is where a risk management plan plays an important role. A detailed and efficient risk management plan will help you minimize your losses and determine the whether or not you should take advantage of each trade opportunity. Experience – Experience is the best teacher they say; and this is no exception in Forex trading. While the starting process can be difficult and may also involve blown up accounts, remember that mistakes are failures are opportunities to learn and do better next time. Keep on building your skills and persevere. If you do this consistently, you’ll be able to increase your expertise and acquire more winning trades than losses. 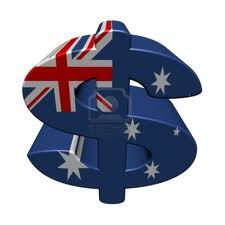 Australia Forex Brokers is an information site on the Forex trading market. The information here is based on our views and experiences in the Forex market and does not constitute an investment advice. We will not accept any liability for any loss or damage, including but not limited to, any loss of profit which may arise directly or indirectly as a result of following the information in this site. Trading can result to substantial losses. Do not trade more than you can afford to lose.